Typically, the lifespan of your professional teeth whitening can last between four and 12 months, depending on which type of treatment your dentist uses, and how often you consume food and drink that stains your teeth. Your dentist at Shifa Dental will determine whether you’re a candidate for teeth whitening and help you explore your options. Shifa Dental always recommends choosing a teeth whitening kit approved by the American Dental Association should you decide to whiten your teeth at home. Always follow the directions, and keep in mind that they require seven to 30 days of consistent use to see their full effects. Individual results vary with store-bought teeth whitening kits. An in-office teeth whitening treatment that brightens your teeth five to ten shades within 45 minutes. A dentist-dispensed teeth whitening kit that you can take home with you. These contain higher concentrations of whitening agents compared to store-bought kits, and they’re easy to use. 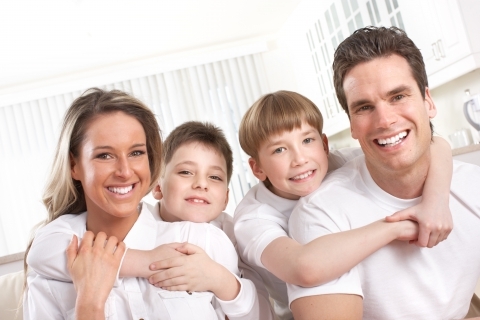 When it comes to teeth whitening in Plano, TX, we’re always happy to advise and give you more information about your options. Cover your lips and gums so only your teeth are exposed. Apply a professional teeth whitening gel to your teeth. Expose your teeth to a specialized light for 15 minutes to help the teeth whitening gel penetrate and brighten your smile. Reapply the whitening gel and light treatment two more times. Are you wondering if teeth whitening is right for you? Call your Plano dentist at Shifa Dental today, and schedule an appointment!